Tourist resort of Kranjska gora is a typical alpine place, which extends with one part into the Triglav national park. Kranjska gora is the »meeting place«, the largest settlement in the valley, which is surrounded by several idyllic villages. 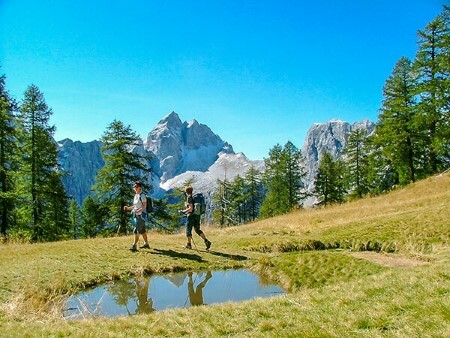 One of them is also Gozd Martuljek with the picturesque Group of the mountain Špik and waterfalls of Martuljek, all parts of the Triglav national park. In summer you can go trekking and climbing in the mountains. 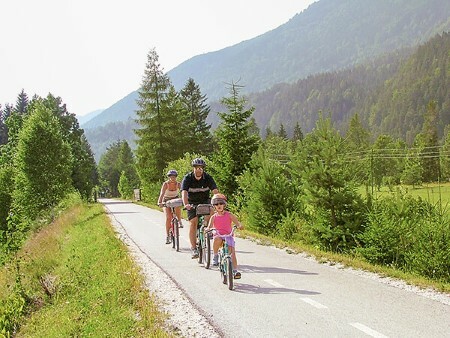 Our summer guests can cycle on the cycling trails from Mojstrana to Planica and Lakes Fusine in Italy . For more skilful cyclists there are many possibilities for cycling on the marked mountain trails to Vršič, Tamar or all over Karavanks. Lovers of cross country skiing can enjoy on many well prepared ski trails in Gozd Martuljek, Kranjska gora, Rateče, Planica and Tamar. 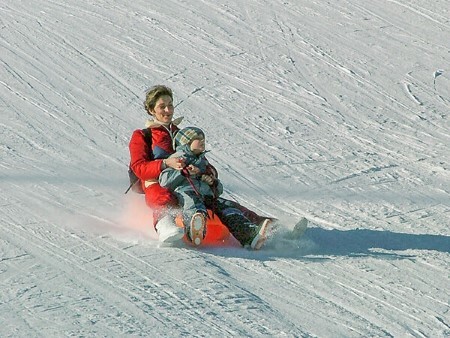 There is a sledge trail in Gozd Martuljek with a fascinating night sledding. From the sky the valley looks even more interesting. 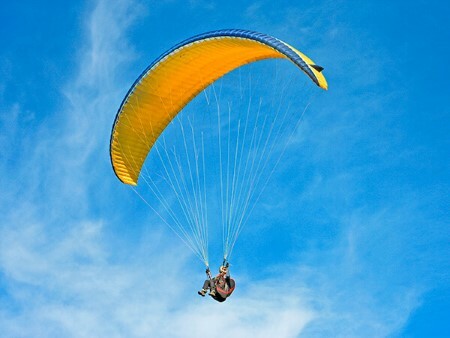 Everyone withour fear of hight can fly over the mountains from Karavanks or Vitranc. 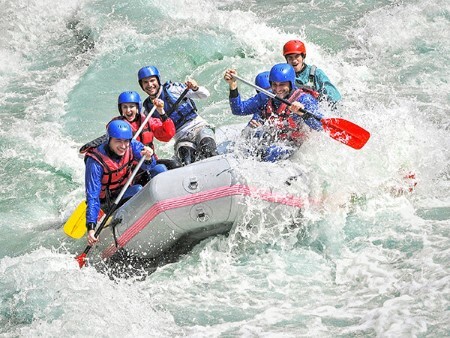 Fishing is possible in the nearest lakes and rivers (Bled 20 km, Bohinj 40 km), especially attractive is the emerald river Soča where unforgetable rafting or canyoning will rase your adrenalin. 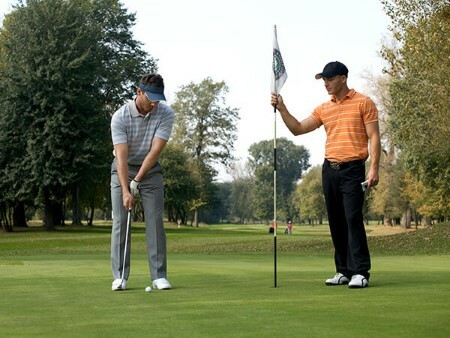 Lovers of golf can play on golf fields in Kranjska gora, Bled or Tarvisio (Italy) as well as tennis players. 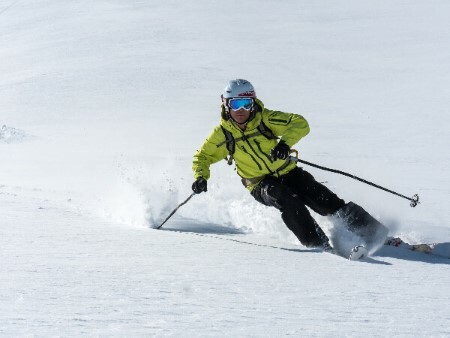 In winter it is by no means skiing. 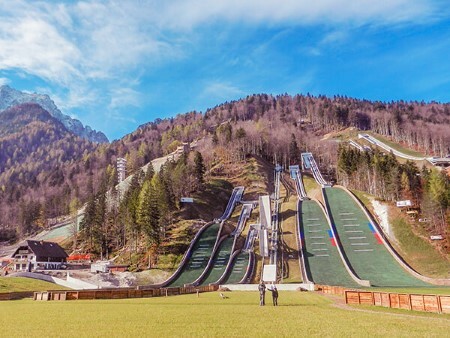 Ski center is 400 m away from our apartments in Kranjska gora. Also ski slopes of Italy and Austria are not far away (15-30 km). With the accommodation in the heart of Kranjska Gora you will be offered the Julian Alps as on the palm of your hand and will invite you to join them.